It’s been a rocky road for women who need, and can’t afford, genetic testing for breast cancer, but answers — and counterclaims — filed this week to lawsuits brought in the federal court in Utah should go a long way towards resolving, once and for all, whether Myriad Genetics will be able to protect its high-priced monopoly. These lawsuits have their origin in work done in the 1990s by various researchers on which Myriad won the race to the Patent Office: it secured patents on two human genes called BRCA1 and BRCA2, genes that — if present — cause a significantly elevated risk of breast and ovarian cancer. 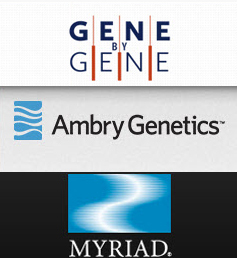 The patents gave Myriad the sole right to test women for the presence of those genes. So armed, the company went after academic and medical researchers to stop them from trying to test for the genes and jacked the price of its test up to as much as $4,000. Ambry and DNATraits, a division of Gene by Gene, immediately announced after the Court’s ruling that they would begin offering much less expensive BRCA1 and BRCA2 testing. Bennett Greenspan, President of Gene by Gene, said at that time that “the Supreme Court was very clear that gene sequences, even when isolated, cannot be patented. In light of this ruling we are pleased that we can now offer Americans the benefit of this more affordable test that we have already successfully offered to overseas clients.” The DNATraits testing was priced at $995, a fraction of the Myriad testing. And it was the threat of those lower-priced tests that led Myriad to file suit in July, alleging that the tests infringe other patents in ways not affected by the Supreme Court decision. But the two defendants went beyond merely answering the complaint; both have counterclaimed for antitrust violations. We’re clearly in for a dogfight over human genetic testing, who gets to profit — and by how much. For myself, I’m rooting for the consumer: for each and every individual woman who needs this testing and faces the Myriad pricetag.